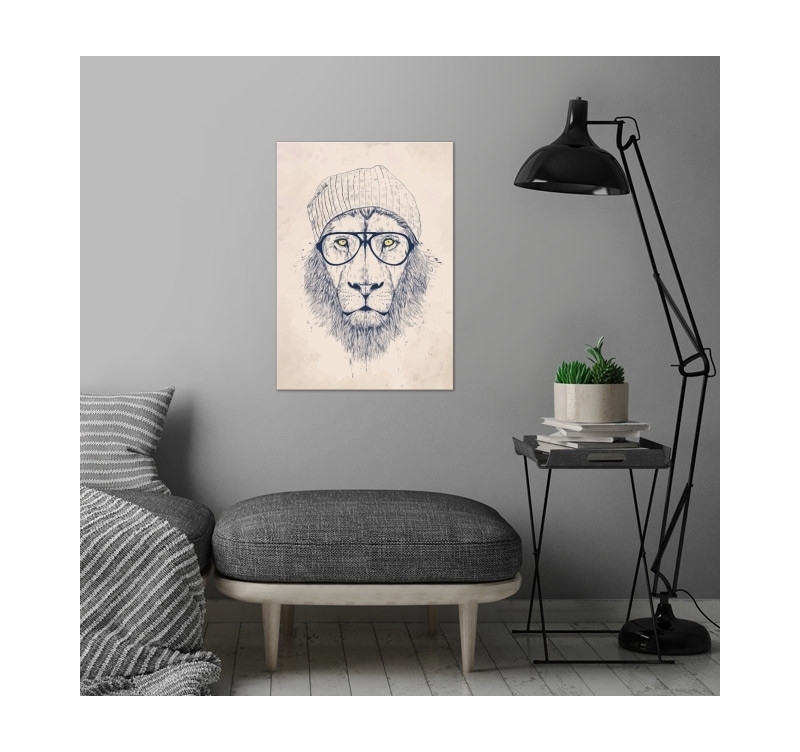 A particularly unexpected decoration thanks to the Lion cool Metal poster with a grey background and warm colors. 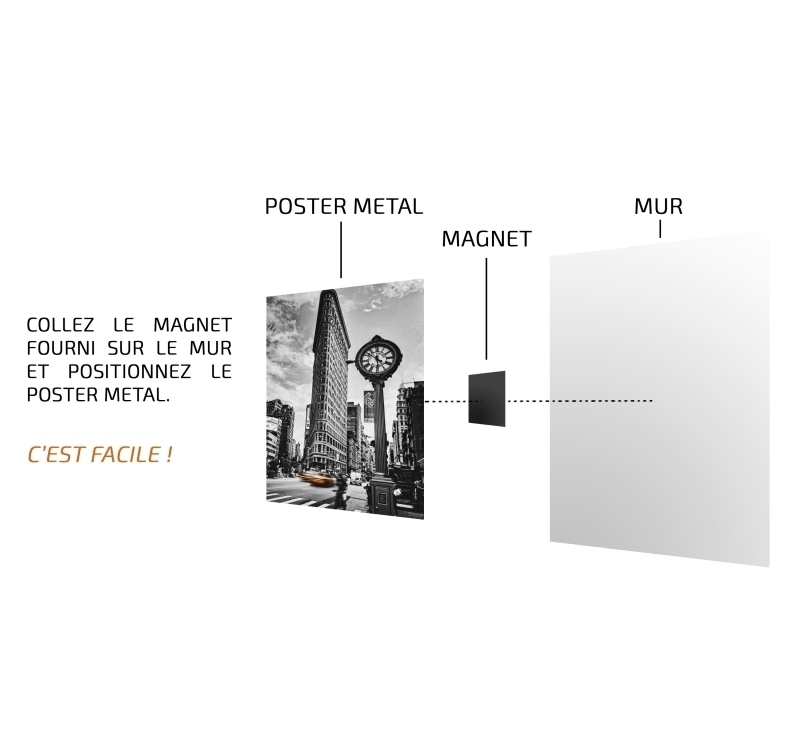 A metal deco poster with modern support and unusual theme. Delivery around the world for this metal wall poster. 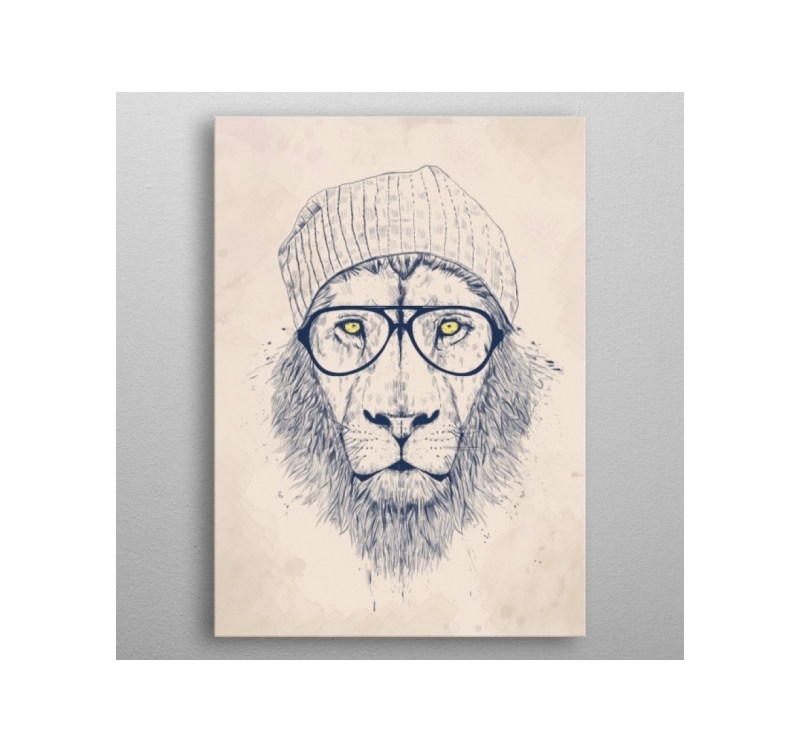 A metal poster design with an unusual image is perfect for wall cladding, no matter where you are. 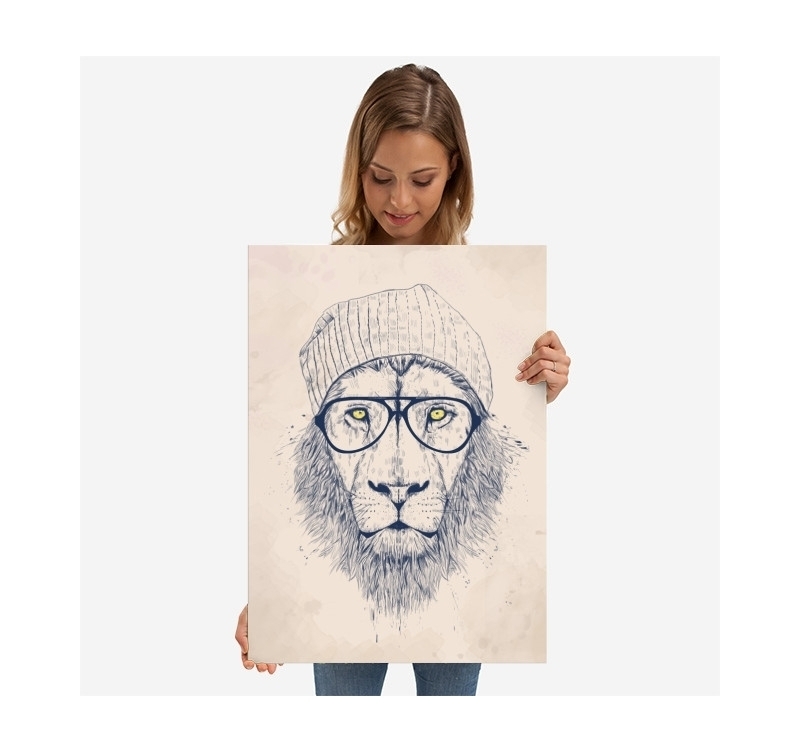 Even better if it is a cool lion, equipped with glasses, accessory inseparable for cool people. On a grey background, the Savannah King's head is brilliantly represented with shades of yellow. The piercing gaze of the beast seems to penetrate that of the observer marrying a serious side with this fantastic, almost ironic drawing. 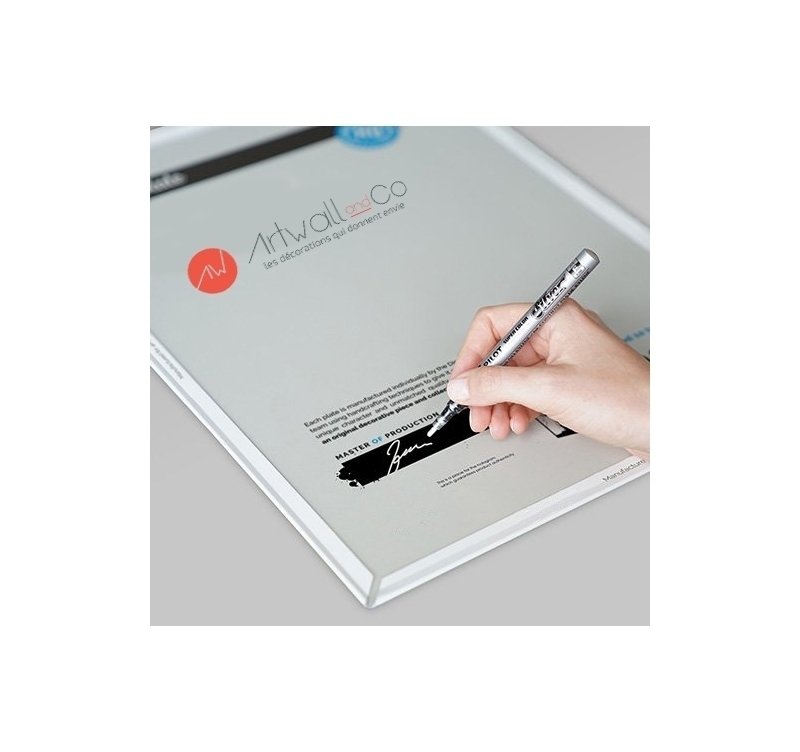 The style adds a solemn imprint to the scene, making the metal wall decoration at the top of elegance and perfectly suited to all indoor environments. 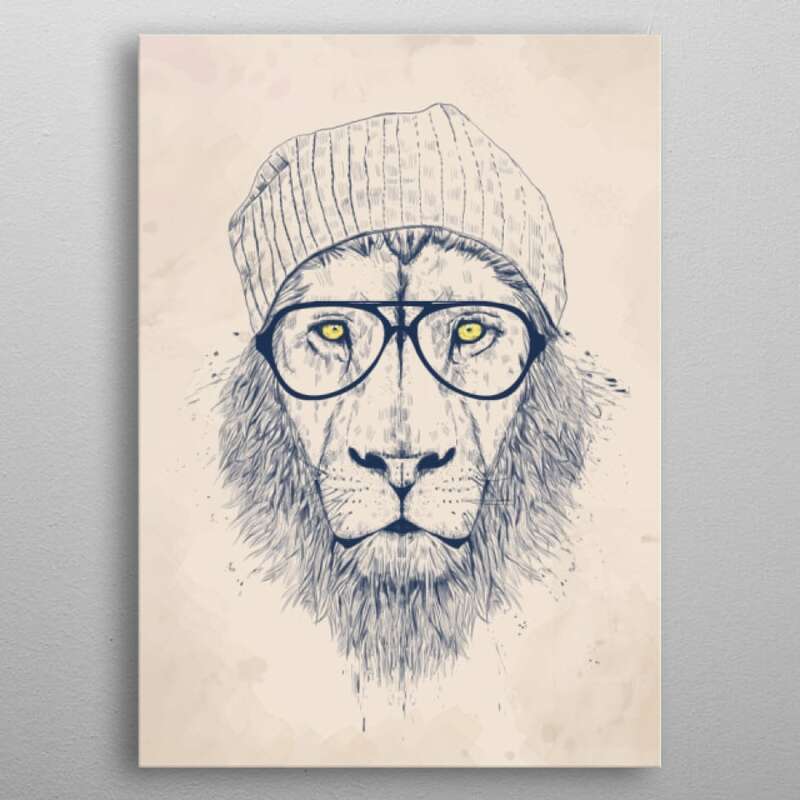 A metal poster that manages to combine the humor of a drawing and the imposing look of the king of the savannah.